The demand for surveillance solutions continues to be a robust trend for securing people, premises and property. New technologies such as the exceptional detail provided by 4K HD technology cameras are enabling coverage over broader areas and of better clarity irrespective of how challenging the conditions are. The deployment of IP surveillance solutions in traffic, smart city projects as well as in healthcare and retail, to name a few, reveal not just how essential these solutions from a security standpoint are but also offer added utility in terms of analytics and management. 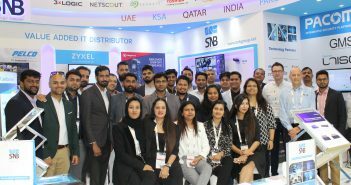 “There is a strong push by local regulatory bodies and security agencies to enforce IP CCTV standards across the commercial business spectrum which has helped IP CCTV gain a strong foothold in the Middle East,” says Bhushan Kate from N2N Distribution, a Gold Distributor for HID and distributor for some very well-known brands of IP CCTV like Indigovision, Bosch, Hikvision etc as well as its own OEM brand “VeriPhi” for both IP and Analogue CCTV cameras. The strong enforcement towards complying in meeting IP surveillance requirements is indeed driving the demand in the region. This is expected to keep the pace and should benefit all vendors across the spectrum who provide various building blocks or provide end to end IP surveillance solutions. The growth in the IP surveillance segment is also being seen in the relatively niche thermal camera segment. “We see a growing demand for thermal technology in the security segment. The traditional marketplace for thermal-based video surveillance—which includes critical infrastructure, airport and mass transportation, energy, power grids and utilities—is growing continuously. 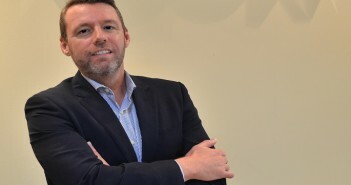 We are seeing emerging demands for thermal security in other areas, such as education, healthcare, city surveillance and correctional facilities, as well,” says David Montague, Security Sales Director EMEA, FLIR Systems. FLIR’s product portfolio includes a full range of IP-based thermal cameras, enterprise-grade visible light cameras—including stationary and motorized form factors supporting resolutions up to 4K—and dual sensor PT cameras. 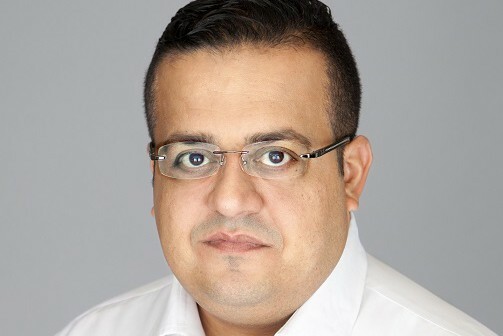 Firas Jadalla, Regional Director – Middle East and Africa, Genetec claims Genetec has seen healthy growth rates in the region over the past few years, riding on this demand. He cites figures from Global analysts Frost & Sullivan which put the 2016 value of regional demand for physical security at USD 5.2 billion (AED 19 billion), or nearly 37% growth from USD 3.8 billion (Dh13.94 billion) in 2015. Further, Frost & Sullivan expects that investment in this regard will reach its peak in the next two years towards 2020 when spending on physical security will reach USD 10.2 billion, which will be 10% of the global market. He further adds that many countries in the region have already undertaken new security directives as a result of this increased public awareness. “Numerous physical security solutions, including intruder alarms, video surveillance, electronic locks, perimeter protection, door alarms, access control protocols, and identification systems, are climbing at an unprecedented rate. The increasing popularity of the Internet of Things (IoT) will also mean an increase in smarter and networked systems available in the market,” he adds. The strong transition towards IP based surveillance systems has seen the older analog based surveillance systems fall out of favour, especially as part of the regulatory requirements that emphasize on IP based surveillance. N2N’s Bhushan elaborates that while they do still carry analog CCTV cameras as well including their own brand VeriPhi, they have seen the demand for analog CCTV cameras has dropped considerably at the moment as most customers are indeed migrating towards IP CCTV. However Bhushan believes that the high costs and ‘inherent vulnerability’ of the IP network security are a deterrent and speculates that the landscape will change to accommodate A-HD technology in the near future. AHD CCTV is an analog high definition closed-circuit television video surveillance standard that uses coax cable to transmit HD video from security cameras to DVRs. 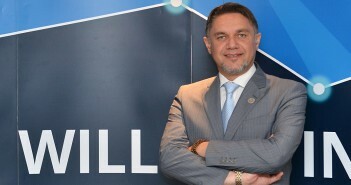 He opines that owing to pressure on security budgets, if not the quality A-HD delivers at affordable prices, this could be possible, at least in limited customer scenarios as arguably, the performance of these A-HD CCTV systems is debated to be as good as the high megapixel IP CCTV systems and are much more cost-effectively priced as compared to the IP CCTV systems. 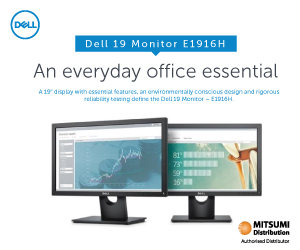 Of course, several manufacturers of IP surveillance solutions continue to offer options for hybrid enviornments where there legacy analog deployments in place. While camera are in the forefront, Storage along with the VMS work in the background and are key building blocks for effective IP surveillance deployments. One of the focus areas for storage innovations for IP surveillance for instance has been to bring in technologies that help lower bandwidth and storage requirements considerably as need for recorded data grows manifold. Vess NVRs and external storage solutions from Promise are purpose-built for IP video surveillance and Promise is able to provide a solution for deployments of any size – from standalone NVR appliances to scale-out storage solutions for large deployments and video surveillance cloud services. On the other hand, for Genetec, its flagship is its Security Centre, a unified security platform that blends IP security systems within a single intuitive interface to simplify operations. From access control, video surveillance, and automatic license plate recognition to communications, intrusion, and analytics, the Security Center empowers organizations through enhanced situational awareness, unified command and control, and connectivity to the cloud. The Security Centre includes Omnicast IP video management system (VMS), which includes deep support for a wide range of industry-leading cameras, encoders, and CCTV equipment. Among its new capabilities are system protection against cyber threats, uninterrupted video streaming, and optimized post-incident handling and editing of snapshots and exported video. It is essential to choose the VMS solution with care as this will be the hub that will help control and manage the network of camera and storage installations. Further, it needs to scalable and ready for future upgrade scenarios. David says that FLIR’s cameras feature built-in video analytics capable of transmitting alarm and metadata through the IP network. Video Analytics, is a key attribute in state of the art IP surveillance installations. This is a key requirement that is especially relevant in retail. Therefore, the decision for the video management and analytics platform has to be very carefully evaluated. Bhushan agrees that there is definitely a growing demand for good analytics software with IP camera installations. It also comes in handy in deployment for managing traffic. As Traffic management and analytics is a key application area for surveillance solutions, Genetec offers AutoVu, the automatic license plate recognition (ALPR) system in Security Center that makes license plate reading and identification easier. With numerous components that go into the deployment of medium to larger scale deployments, it becomes quite necessary to use solutions that are compatible with a large number of industry standard products from other vendors as well. 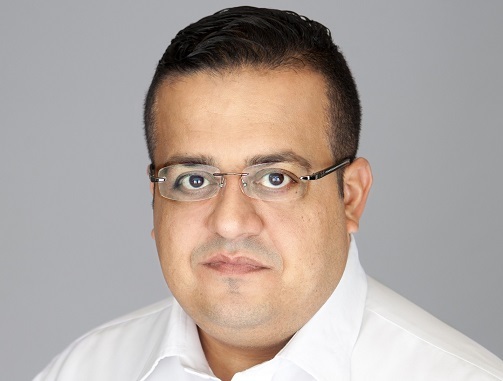 According to Firas, Genetec’s advanced security solutions have always been built as open architecture systems. This allows customers to optimize a combination of solutions from Genetec, choose their preferred brand of hardware or leverage previous hardware and infrastructure investments. He comments that strategic partnerships not only help enhance existing product offerings but also open doors to new applications and infrastructures that address current and future requirements. FLIR offers complete, end-to-end solutions comprised of seamlessly integrated components designed for efficiency and simplicity. In parallel, each component within FLIR’s portfolio is fully open for 3rd party integration, including its entire range of cameras and United VMS platform. The key for vendors looking to conolidate and continue making inroads into differnt markets and verticals is to have access to as many number of active partners with a strong focus on the physical security domain. FLIR Security maintains a number of partner networks as part of its global business, including business and sales partners, distributers, certified systems integrators and value-added resellers. The vendor has initiated a number of strategic activities, including the launch of a new channel partner program, as well as training for both thermal products and United VMS platform. Promise technology has focused on strong channel development including training session for its partners. It had recently held it Surveillance Summit in Dubai where it focused on revealing updates and roadmap to partners. Apart from regulatory requirements that are noted as key drivers of the segment’s growth, the fact is that in any case this always looks to be a safe bet in terms of growth and which can survive slowdown scenarios. After all, not many would be willing to discount the importance of physical security and moreover, the add-on benefits of good Business insights from analytics is a necessity in tough Business environments.